But he didn’t. He died a brutal death. Full of blood and pain. Alone. He was only 33. He knew the painful day ahead of him. He could have stopped it. So in the midst of Good Friday Service prep at church, we got the news Jayden is struggling swallowing liquids. It’s like a little rain cloud has settled over my head. Jayden will soon need a feeding tube. We see it coming. The swallow study is the first step in that direction. It’s not the end of the world. We know a number of children with feeding tubes. It just represents the next step. But Jesus sees it too. He knows what’s coming. And today, I’m sad. I’m sad my Savior was tortured and died because of my rebellion. I’m sad that Jayden may need a swallow study. I wish I could take Jayden’s pain and carry it myself. I know I can’t protect my children from the world, I can only point them to heaven. And that truth makes me feel so out of control. Maybe, in all the right ways. Pain is pain. It isn’t about comparing. 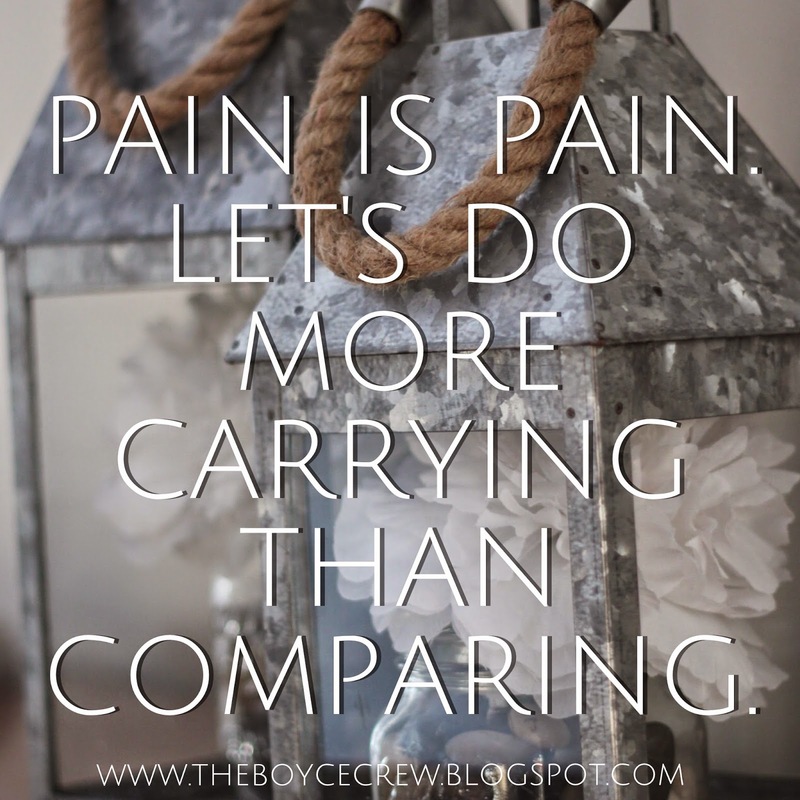 It is about entering into one another’s pain and helping carry the load. Jesus had every right to never enter into creation and endure human suffering. But He loved us too much not to. In some small way, maybe it’s the same kinda love I have for Jayden. Maybe it’s the reason I wish I could take the pain away from him. Jesus has gone before me. He’s endured more than me. His character is consistent and His promises are true. And the best part isn’t that He suffered and died so I can relate to Him. It’s better than that. The best part is He conquered the grave. That He is who He says He is and did what He said He’d do. That this world isn’t the end. That eternity is filled with restoration and beauty. That there will be no more tears, no more sorrow, no more suffering, no more pain, no more feeding tubes, and no more death.